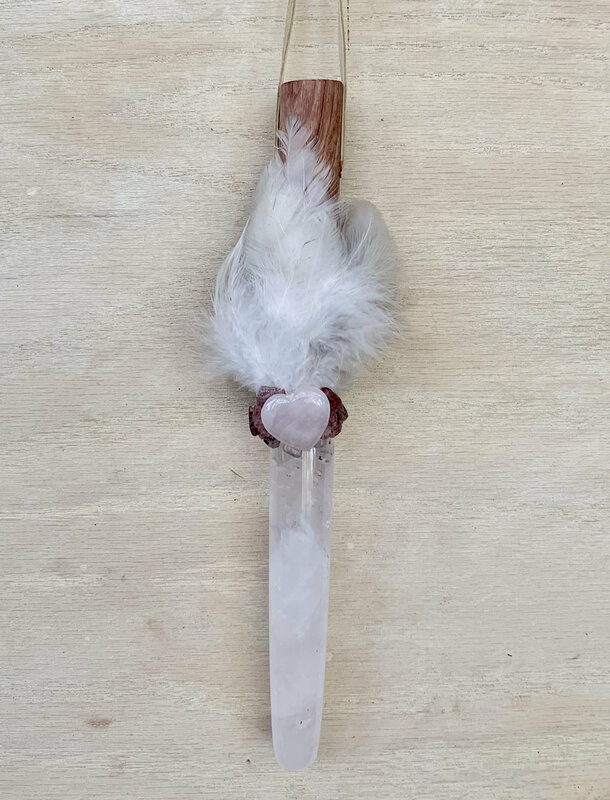 Assists with Open, Heart Centered Communication; Assists with Healing, Self-Love & Forgiveness; Fosters Deep Meditation/Journeying; Encourages Optimism, Clarity, Creativity, Gratitude, Peace, Strength & Wisdom. Tulipwood - A very powerful feminine energy radiates from this wood. Helpful with creativity, intuition, beauty, nature, divination. 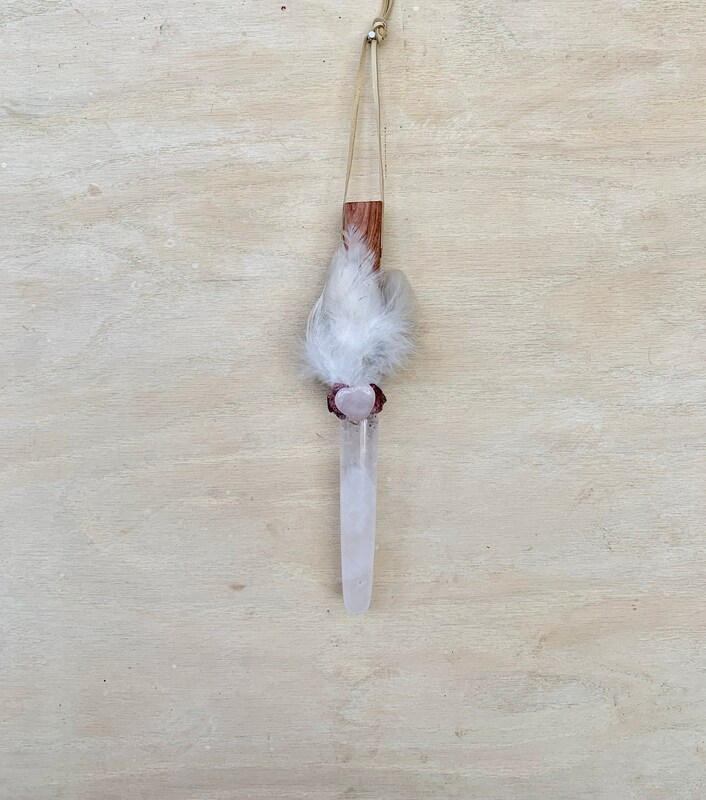 Girasol Quartz (girasol opal) - can help you feel calm, relaxed, hopeful and optimistic. Can also amplify your ability to be creative, thoughtful and focused in your life. Is a stone of gentle but powerful energy that can enhance and solidify feelings especially when connected to love and passion, enabling clarity of true feelings. It also enhances creativity in artistic, business and practical areas. It can mirror feelings, which makes it excellent for visualization and energy healing. Girasol encourages communication skills and helps the user vocalize thoughts that otherwise would be hard to express. Empowers self-healing. 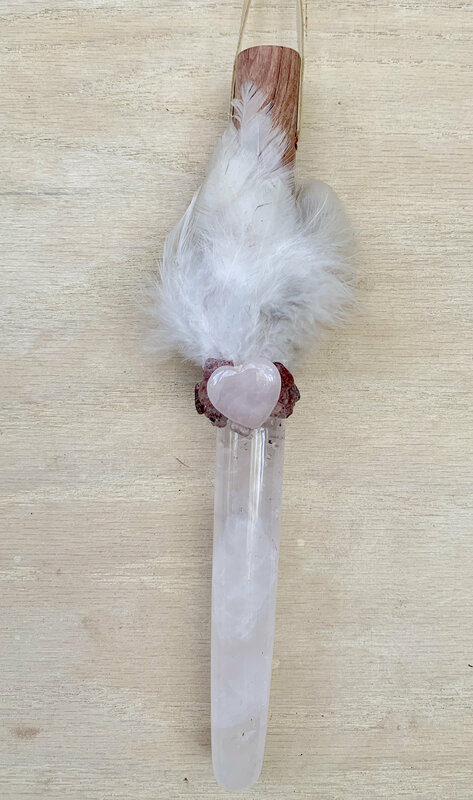 Strawberry Quartz - carries all the vibrations of Clear Quartz, with the additional attributes of universal love, understanding of purpose, and seizing the day. Can be soothing and calming. Has the ability to amplify intentions of love, gratitude and generosity, and can radiate those vibrations outward. Assists in bringing balance to the psyche, the emotions, and the subtle energy bodies. Can help one to gain insights into one's persona and inspiration regarding how to improve on it. Great facilitator of gaining hidden knowledge. Aids in meditation and journeying. 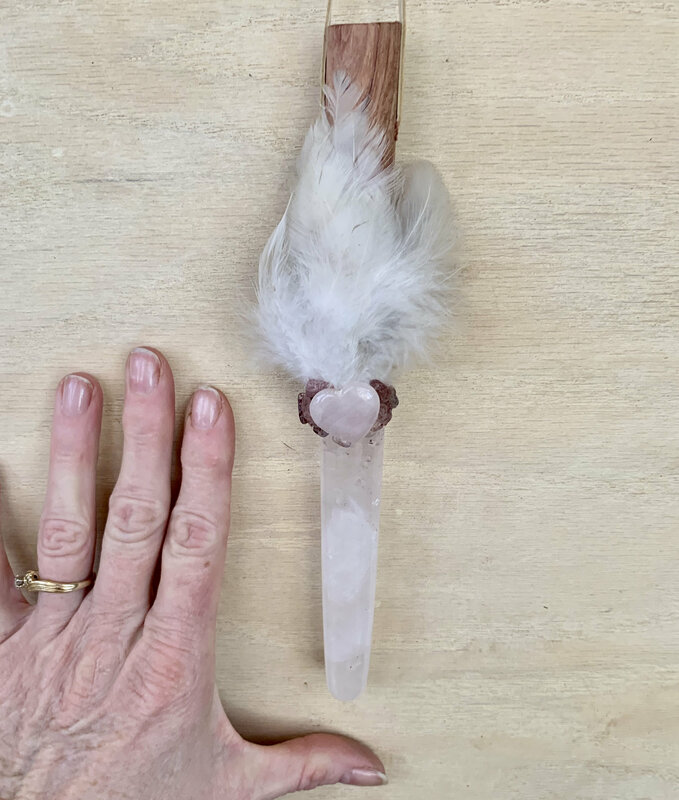 11 inches, Girasol Quartz 5 inches.